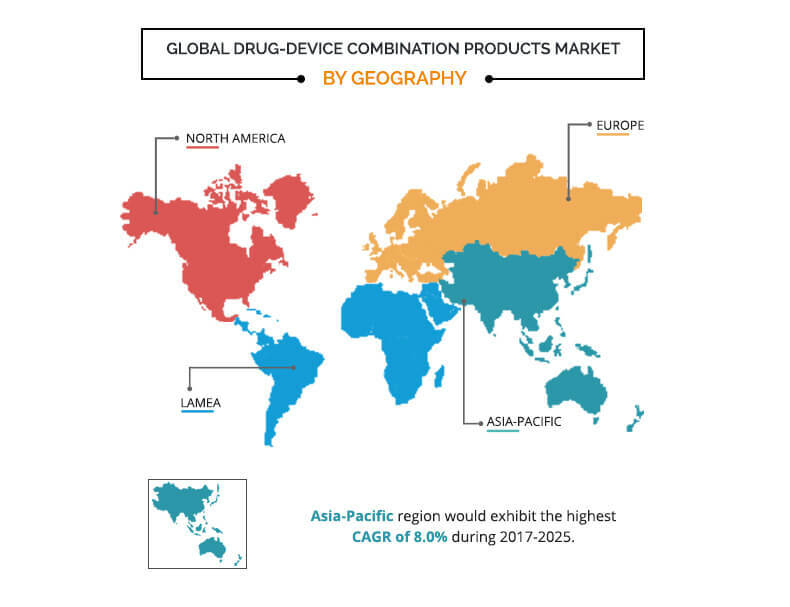 The global drug-device combination products market was valued at $81,374 million in 2017 and is projected to reach $139,193 million by 2025 at a CAGR of 6.9% from 2018 to 2025. Drug-device combination products are medical devices, which consist of a device and active pharmaceutical ingredients that are physically or chemically combined together as a “single-entity”. These products lead to safer, effective management, and treatment of several disorders, owing to precise drug delivery, local administration, and individualized treatment. Major drug-device combination products include drug-eluting stents, infusion pumps, inhalers, transdermal delivery systems, prefilled syringes, and others. These technologically advanced products are used to manage and treat a number of chronic disorders such as cancer, diabetes, respiratory issues, cardiovascular disorders, wound healing, and others. 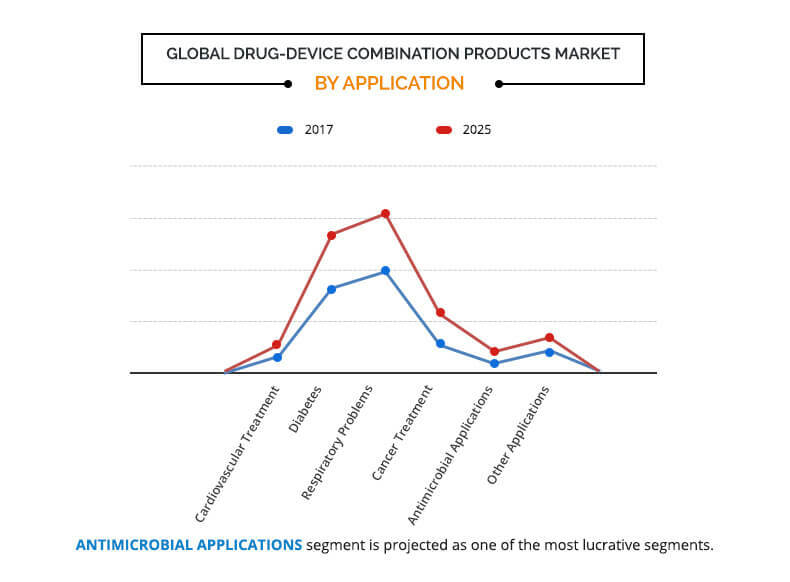 The growth of the Global Drug-device Combination Products Market is driven by rise in incidence of chronic diseases such as diabetes, cancer, and respiratory problems, increase in casualties owing to accidents and trauma, rise in geriatric population, growth in home-based healthcare market, and technological advancements such as development of prefilled syringes. However, factors, such as unnoticed complications of drug-device combination products, number of product recalls, and stringent government regulations, hamper the market growth. Conversely, rise in healthcare infrastructure and high market potential in untapped emerging economies are expected to provide lucrative growth opportunities for the market. The global drug-device combination products market is segmented based on product, application, end user, and region. On the basis of product, the market is segmented into drug-eluting stent, infusion pump, photodynamic therapy, antimicrobial wound dressing, prefilled syringe, drug-eluting balloon, nebulizer, inhaler, transdermal delivery system, and others. Drug-eluting stents are further sub-segmented into coronary stents and peripheral vascular stents. The infusion pumps segment is further divided into implantable infusion pump, insulin infusion pump, patient-controlled analgesia pump, and ambulatory infusion pump. Similarly, prefilled syringes are further categorized into single-chamber prefilled syringes, dual-chamber prefilled syringes, and customized prefilled syringes. The drug-eluting balloon segment is bifurcated into coronary drug-eluting balloon and peripheral drug-eluting balloon. The inhaler segment is further segmented into drug powder inhaler (DPI), metered dose inhaler (MDI), and soft mist inhaler (SMI). Lastly, the transdermal delivery system segment is bifurcated into passive delivery system and active delivery system. The transdermal delivery system segment accounted for the largest market share in 2017 and is expected to continue this trend throughout the forecast period. On the other hand, the prefilled syringe segment is anticipated to grow at a significant CAGR of 9.9% during the forecast period. On the basis of application, the market is categorized into cardiovascular treatment, diabetes, respiratory problem, cancer treatment, antimicrobial application, and other applications. The respiratory problem segment accounted for the largest market share in 2017, whereas the antimicrobial application segment is expected to register the highest growth rate during the forecast period. Depending on end user, the market is fragmented into hospital & clinic, ambulatory surgery center (ASC), home care setting, and other end users. The hospital & clinic segment held the largest share of the market in 2017, whereas the ambulatory surgical center segment is expected to register the highest growth rate during the forecast period. Based on region, the global market is studied across North America, Europe, Asia-Pacific, and LAMEA. North America held the largest share of the market in 2017, followed by Europe. On the other hand, the Asia-Pacific is anticipated to dominate the market during the forecast period, owing to large population base, increase in disposable income, and improvement in patient awareness about combination devices. Moreover, Asia is a large continent, and is a home to some of the world’s highly populous countries. This region has emerged as an epicenter of numerous chronic disordes. The key players of this market include Abbott Laboratories, Medtronic plc, Smith & Nephew plc, Boston Scientific Corporation, GlaxoSmithKline plc, Becton, Dickinson and Company, Johnson & Johnson, Novartis AG, Bayer AG, and Baxter International, Inc. The other players in the value chain include B. Braun Melsungen AG, Cook Medical, ICU Medical, Inc., Moog, Inc., and C.R. Bard, Inc. These players are not profiled in the report and the same can be included on request. The study provides an in-depth analysis of the global drug-device combination products market with the current trends and future estimations from 2017 to 2025 to elucidate the imminent investment pockets. 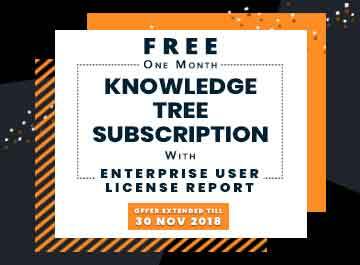 Identification of factors instrumental in changing the market scenario, rise in opportunities, and identification of key companies that can influence this market on global & regional scales are provided. Utilization of drug-device combination products is expected to witness a significant rise with increase in prevalence of chronic diseases, such as diabetes and cancer, and growth in awareness about the development of technologically advanced combination products. Increase in usage of drug-device combination products for the treatment of cancer and respiratory problems by physicians in the developed regions have fueled the interest of the healthcare industry. Increase in number of respiratory disorders such as chronic obstructive pulmonary disease (COPD) and asthma as well as rise in awareness about the availability of economical combination devices are expected to drive the growth of the drug-device combination products market. However, stringent governmental regulations and post-operative complications related to combination products hamper the market growth. According to the CXOs, there is an increase in the adoption of prefilled syringes that help treat chronic disorders. This increase is majorly due to rise in prevalence of chronic diseases, surge in geriatric population who are more prone to chronic disorders, and improvement in reimbursement scenario. The use of drug-device combination products is expected to increase in future. CXOs state that the use of these devices is the highest in North America, owing to higher government expenditure on healthcare and better reimbursement policies, followed by Europe and Asia-Pacific.